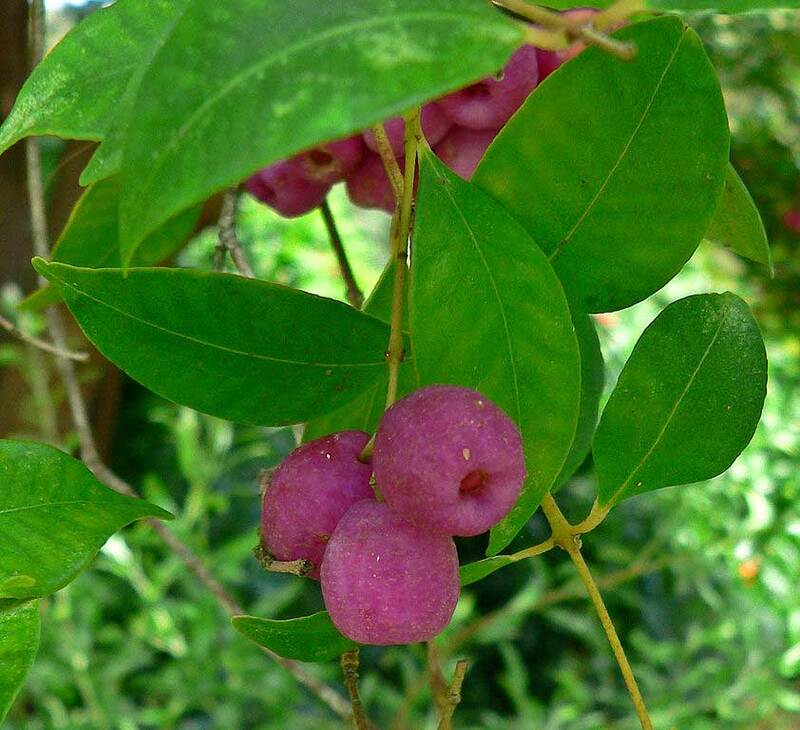 This is Syzygium smithii, formerly known as Acmena smithii and Eugenia smithii. 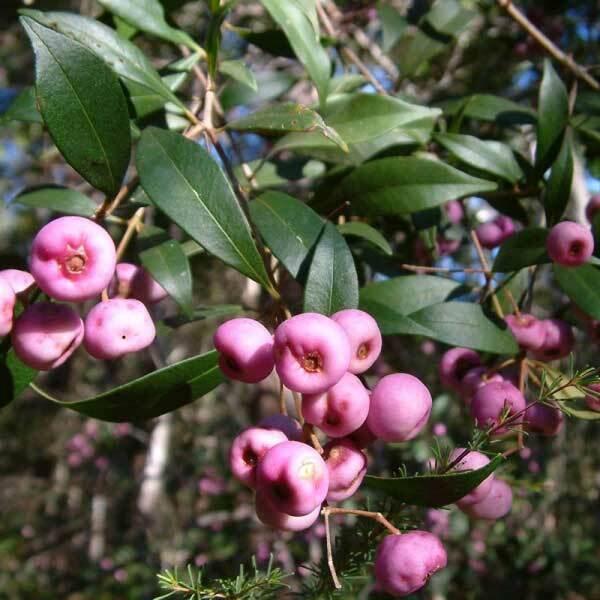 Some common names are Lilly Pilly, and Monkey Apple. 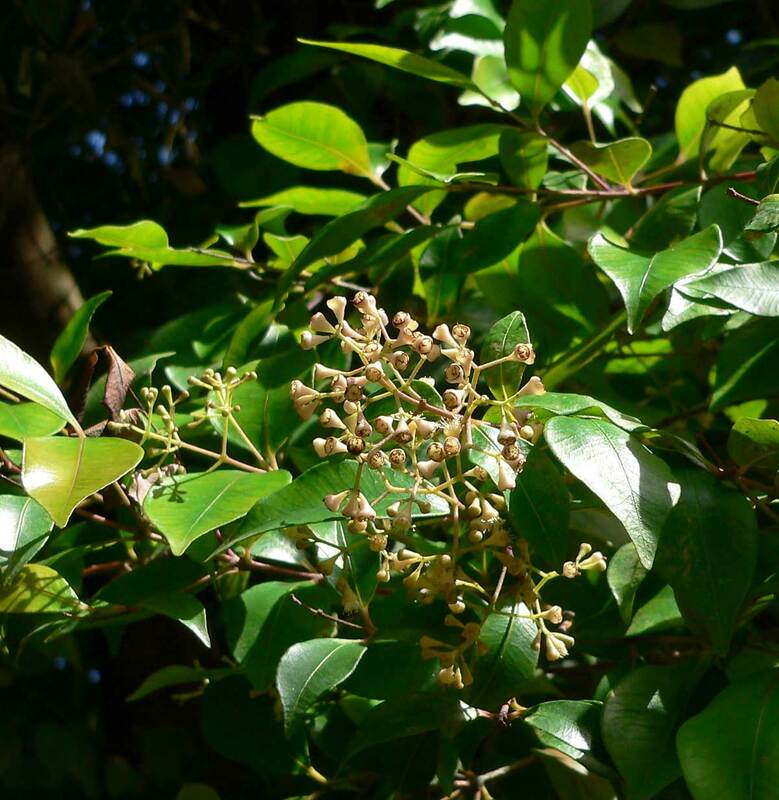 This tree flowers in the Summer and Fruits in the Winter. 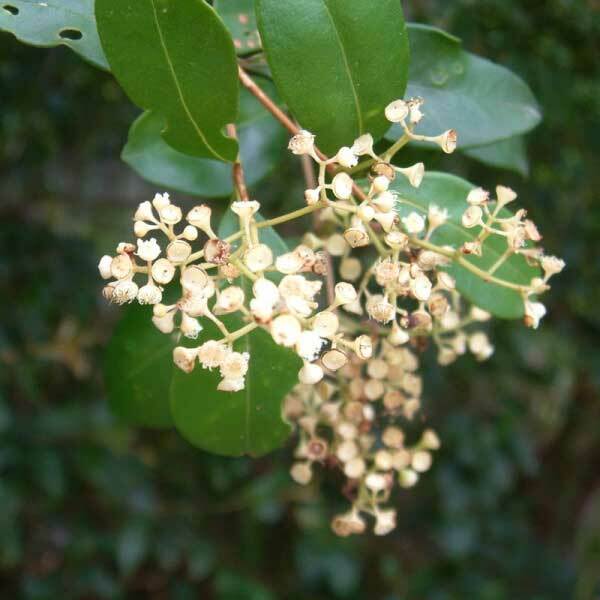 It is normally used as a shrub or hedgerow. The berries are white to maroon and they are edible. 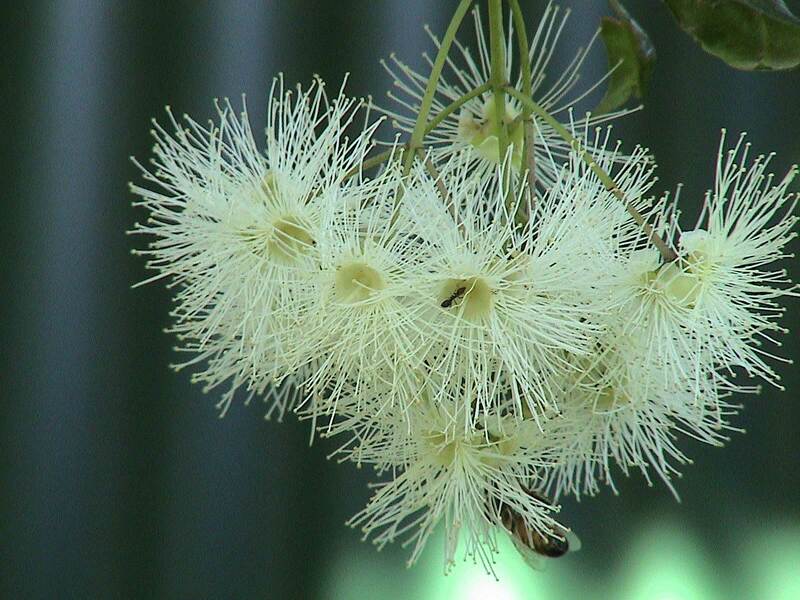 This tree is very popular with the birds, bees, and butterflies. USDA Hardiness Zones 9 to 11.